"Love is like a puzzle, hard to piece together but beautiful when all the right pieces are put together." 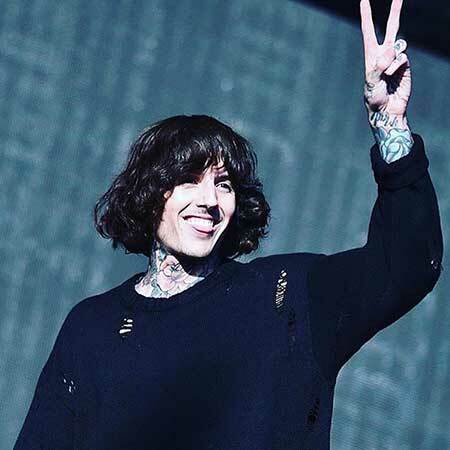 Oliver Skyes, the English musician widely known as the lead vocalist of 'Bring Me the Horizon' has finally found the love of his life. Skyes and his Instagram model wife Alissa Salls are enjoying every phase of their married life. They have already crossed one year of their blissful life and still, they have a long way to go ahead. Skyes was previously married and faced a number of failures in relationships. We can say, he's finally with someone meant to be with him. 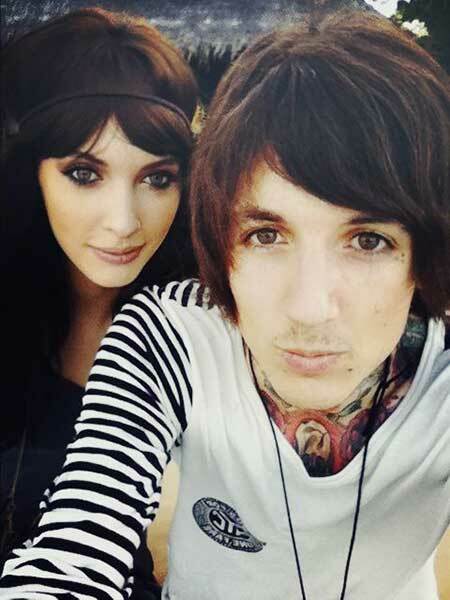 Skyes, the lead vocalist of the rock band Bring Me the Horizon is a happily married man. After separating from his former wife, he tied the knot to Instagram model Alissa Salls. The musician-model duo exchanged vows on 22 July 2017. The couple is quite private regarding their married life so details about their married life are not revealed. However, the couple occasionally appears on each other's Instagram posts and we can say that they are enjoying their conjugal life together. "Womb 2 Da Tomb" artist Skyes has been married twice but he has a long list of past affairs. Previously, he dated Scottish fashion model Amanda Hendrick from 2008 to 2012. You May Like: Rochelle DeAnna McLean and her husband Musician A. J. McLean are excepting their second child. Sources reported that the former pair first met at an after-party in 2008. Though they were very much in love, things turned upside down when Hendrick cheated on him. Later, he had an affair with British model SJ Whitley and broke up in 2014. Some other names including Jess P, Miss Stranger, Abigail Halliday, and Cristina Piccone also comes in his dating list. After a number of relationships and failures, he dated and married fashion model and tattoo artist Hannah Pixie Snowdon on 12 July 2015. The wedding ceremony was held in Tuscany, Italy after years of dating. Despite their amazing chemistry, they couldn't manage to be together for so long. They shortlived married life ended earlier in the year 2016 even before they could celebrate one year anniversary. Also Read: English Musician Matt Bellamy is Engaged to Model Elle Evans; Is the couple getting Married this year? Sykes revealed how trauma and divorce shaped his new album 'Amo'. Born on 20 November 1986 in Ashford, Kent, England. He shifted to Australia with his parents Carol Skyes and Ian Skyes. He studied at Stocksbridge High School. Also attended the Barnsley College. He is the founder of the company Drop Dead Clothing. He is the creator of the graphic novel Raised by Raptors with Drop Dead Clothing artist Ben Ashton-Bell. He suffered from a form of sleeping paralysis since the age of 12. He has an estimated net worth of about $2 million at present.